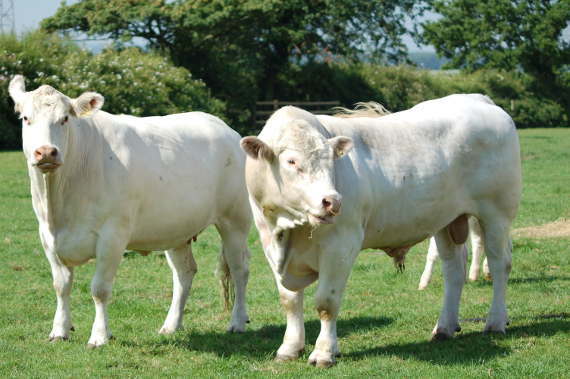 We have been polling Charolais since 1982 and are one of the few herds in the country to specialise in this. 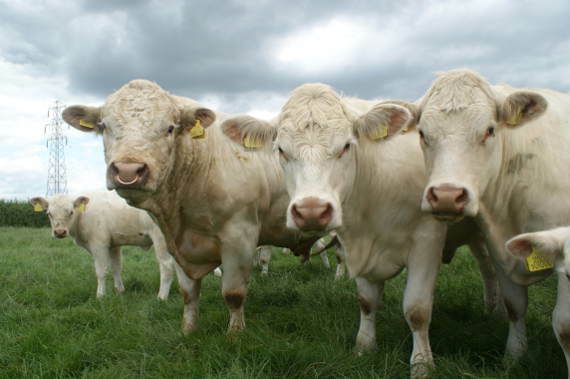 We have 70 Poll Charolais cows and a total herd of over 180 cattle. Our stock bulls include JordanCastle Heathcliff, Alwent Impact and Cockerington Justice. We have such a depth of polling that we now have bulls for sale that have been DNA tested homozygous for the poll factor. The cows are virtually all home bred with only 1 purchased cow on the farm. We have selected heavily for a quiet temperament, combining this with conformation and size. 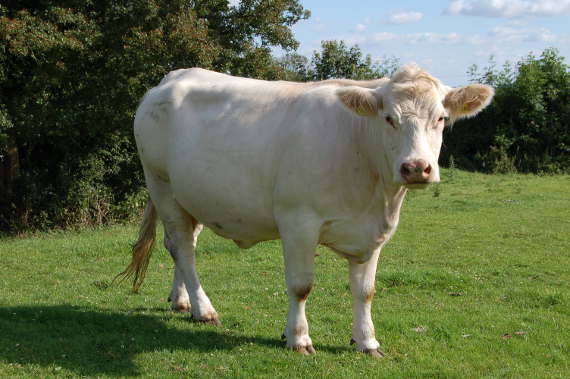 Poll Charolais are a finer boned Charolais producing on average smaller calves which grow rapidly. This also contributes to an easier calving ratio. The cattle are not “forced” but fed a diet so as to achieve their full potential at 3 years of age. All of our cattle are sold from the farm giving buyers confidence that our cattle have been fed in this manner and giving them the opportunity to see not just the animal they are interested in, their sire and dam and of course our whole herd.